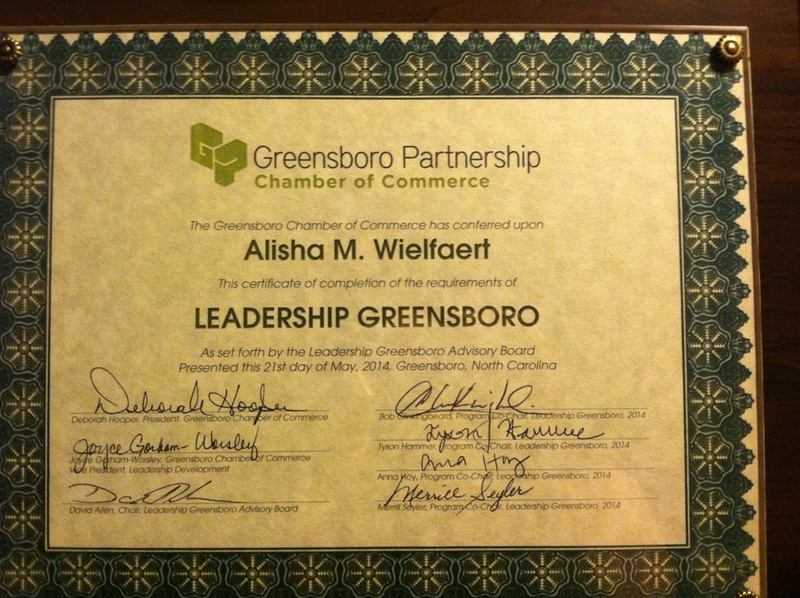 For many years it was a dream of mine to go through the Leadership Greensboro Program. I've always been curious about the program, what participants actually did, what they worked on, the volunteering aspect, the projects that sounded daunting. Last year I finally begged my boss to let me participate. It's a significant amount of time away from the office as well as a pretty big financial investment for your company if you participate. Luckily I work for an amazing company and have an amazing and supportive manager who financed and approved my participation in the program. This program is a lot of work, it's not a vacation by any sense of the imagination, it's a true learning experience. You are asked to dig deep, not just show up, but get out of your comfort zone, share and participate. Some of the activities required putting aside personal bias and opinions and opening my mind when I hadn't even realized it had been closed. Leadership Greensboro taught me more about my community, and more about my individual leadership style. As a group we definitely had a lot of fun while going through the program, but the part I loved the most was making new connections. Making new friends fills me up, on the DISC leadership profile I learned that I'm an I. I stands for someone who values relationships above most else (I don't think this is a surprise). I now know 44 more people who are unique, interesting, inspiring, and committed to our city and ready to make a difference. It was a privilege to participate in the program here in Greensboro. If you are in Greensboro I highly recommend it. If you are in another city contact your chamber of commerce to see if you have a program like it, it's well worth the time and energy!